With Readly you can read Kate & Diana - William's two loves and thousands of other magazines on your tablet and smartphone. Get access to all with just one subscription. New releases and back issues – all included. Lady Diana Spencer and Kate Middleton were thrust into the public eye when they met their princes. This special Daily Mirror publication looks back at the extraordinary life of Diana, Princess of Wales, and the effect she had on the public, at home and abroad. 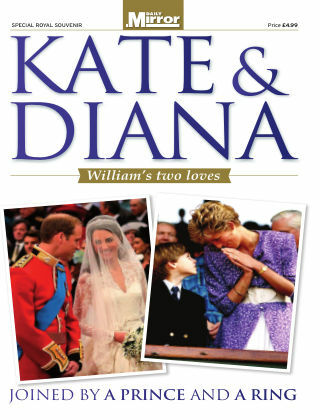 It also focuses on Kate, the sweetheart of Prince William, Diana's eldest son, and the woman who now wears her engagement ring. Using rare and unseen images from the magnificent Mirror archive, and featuring Mirror pages and reports, we tell the story of the romances and the weddings, as well as, in Diana's case, the tears and tragedy.